G.M.R MUHAMMAD & SONS (PTY) LTD imports the quality products from a variety of countries. These countries include: Malaysia, UK, Thailand, Vietnam, China, Brazil, Singapore, Australia, New Zealand. All products have a varied range of brands to meet the needs & budgets of the customer. Each new product imported & sold is tested by the GMR team to meet a minimum standard. 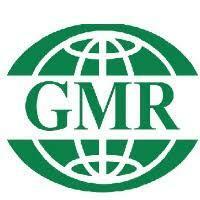 G.M.R exports to countries throughout the South Pacific including: Tuvalu, Kiribati, Wallis & Futuna, Tonga, Samoa. Shipments are sent depending on the flexibility of shipping routes and schedules. We have the ability to send emergency orders through airfreight when the need arises. All genuine complaints are dealt with swiftly & a refund or replacement is given. We ensure that every customer gets what they pay for. Over the counter purchases can be refunded or replaced (within reason) provided they return the items with the receipt. G.M.R MUHAMMAD & SONS Gulam Place, Nakasi.